IQ BUILDER toys are specifically engineered to develop the cognitive system, promote learning and provide hours of productive play. 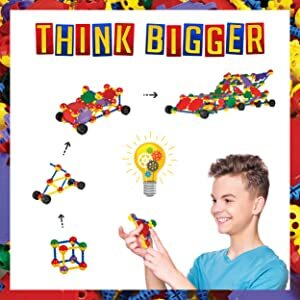 With our unique and innovative building toy set, rest assured your kids are spending their time getting a brain-push while collaborating with others to create & build fun block-structures. Kids love these creative learning solutions that are perfect for enhancing fine motor skills and improving hand-eye coordination, logic and problem-solving abilities. Our safe and toxin-free toys facilitate brain development and early childhood progress, so gift the kids a chance to grow up to become inspirational leaders of tomorrow. Our toy sets are designed to engage students in STEM Learning (Science, Math, Engineering & Mathematics) at an early age to help students develop the necessary in-demand skills to participate in the classroom and for success in a rapidly changing world. Our toy is like a construction engineering toolkit that allows you to expand your imaginative realm and build all sorts of inventive structures. It offers hours of fun activity that keeps the kids away from the smartphones and tablets so that they can benefit from productive play. 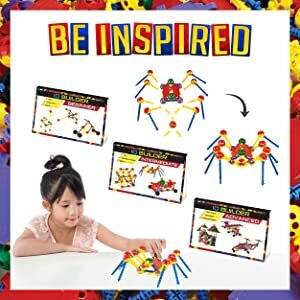 Our toy sets are capable of building any geometric shape your mind can imagine so long as you have enough pieces to take you wherever your creativity goes. 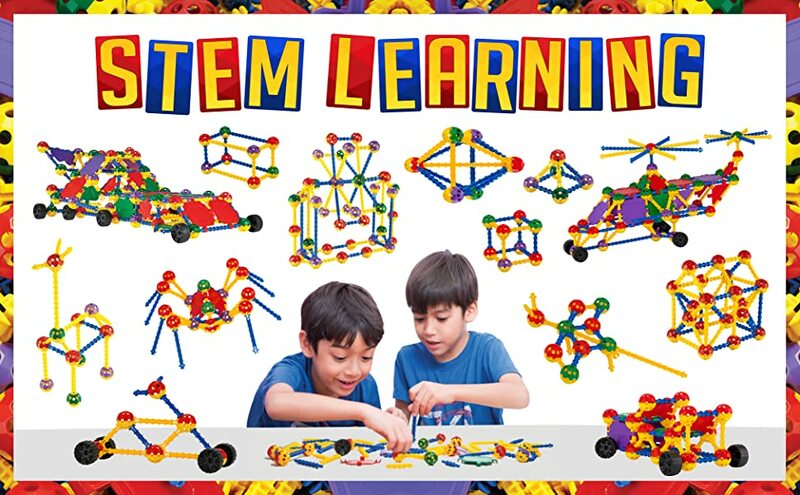 Our toy set comes with three online instructional eBooks for beginner, intermediate and advanced levels of building based on complexity of design. These serve as great instructors for creative ideas that teach you how to make different geometric designs in the beginning so you can build bigger and more intricate designs. All of our toys at IQ BUILDER have been crafted to incorporate necessary safety features as we firmly believe in child safety first. 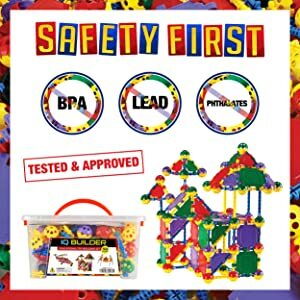 This is why our creative building set has been thoroughly tested by an independent CPSC-accredited lab in the USA to make educational experiences both fun and harmless.